Targets, targets, targets! We've all heard the mantra - sales targets, performance targets, monthly targets. But what does it mean when those targets are met? Is it a sign of success - or could you have achieved more? For some organisations and businesses, measuring success or failure in such a binary manner could be encouraging a fixed mindset amongst the workforce. It couls also be having a negative effect on growth. 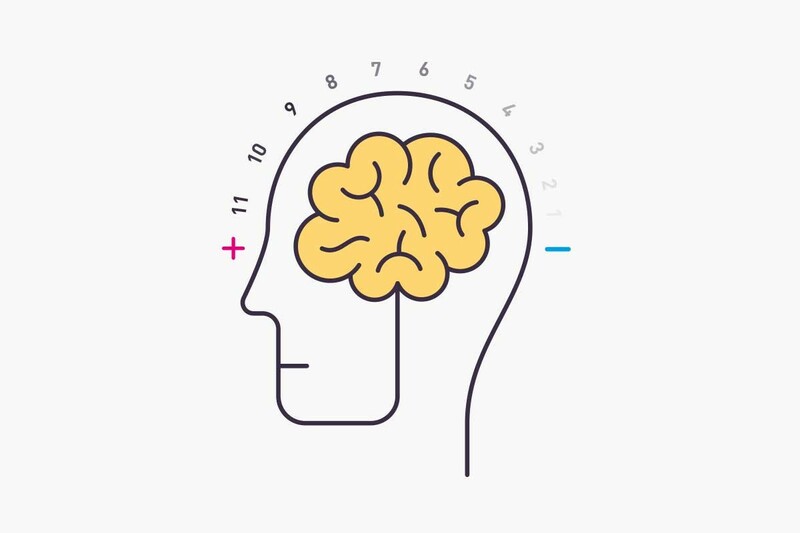 Growth mindset techniques can help your organisation to grow and improve by measuring results based on the amount of improvement your workforce has made. In this article, we discuss the differences between fixed and growth mindset and look at how using praise and feedback correctly will help your organisation improve its performance, and thereby encouraging a happier workplace. Mind-set is an idea discovered by Stanford University psychologist Carol Dweck through decades of research on achievement and success—Dweck developed the terms Fixed and Growth mind-set that refers to how individuals take on challenges and view skills amongst other things. In a fixed mind-set, people believe their basic qualities, like their intelligence or talent, are simply fixed traits. They spend their time documenting their intelligence or talent instead of developing it. Individuals with a fixed mind-set also believe that talent alone creates success—without effort. Dweck has spent decades disproving just this. It can sometimes be the belief that ability and intelligence are set, believing we are born intelligent or not or we have reached the peak of our knowledge. This is not true; intelligence and ability are not fixed, we can always improve and learn and intelligence is obtainable by all and generally the only thing stopping us is self-belief. Those who adopt a ‘fixed’ mind-set believe their abilities and intelligence are static and outside of their control. Fixed mind-set can also be the downfall of the extremely intelligent – sometimes believing their way is the only way or they have all the skills already needed. Whether a fixed mind-set of the intelligent or not so confident, both can be destructive for organisational development and growth. Teaching a growth mind-set creates motivation and productivity in the worlds of business, education, and sports. It enhances relationships. Growth Mindset shows you new ways of working that might go against some of the more traditional and cherished habits you have developed. You might even believe they have worked for you and in some cases this might be true. However, bear with us while we explain the science and reason for trying something new. Growth mindset techniques question the role of praise, including stickers, reward schedules, prizes, ‘self-esteem’ and other off-shoots of behaviourism from the 1970’s. This isn’t because stickers, praise and rewards don’t work. They often do achieve certain things and behaviours, however they do so at a cost. The cost is to a learner’s intrinsic motivation, continued development and growth mind-set. During this article we will suggest alternative routes and ideas to motivate and inspire which are enhance growth mind-set and intrinsically-motivated learners, not extrinsically-motivated sticker-junkies. There are many factors that influence our resilience and our ability to cope. While severe psychological impairments may impact on resilience and coping mechanisms, resilience generally can be learnt. How we are brought up, the environment we’re brought up, does impact greatly on resilience, however that does not mean we can’t change. The majority of the way we think and view the world is learnt, which means we have a great opportunity to learn more and adapt. Just knowing that we are not stuck with skill sets or not and the brain can adapt and change and we can learn to see situations and do things differently, helps us adapt better. Feedback is information and can be provided about any aspect of someone’s behaviour, performance or understanding. It can be provided by anyone (e.g. a manager, friend, teacher) or anything (e.g. the score you get in an online quiz). You can also generate your own feedback – eg when reflecting on a meeting or workshop success and the possible reasons for it. When challenge, effort and feedback operate in harmony, learners begin to see their skills develop in real time – literally growing their abilities and exposing the absurdity that these are fixed. The best feedback you can give individuals is the feedback that provides them with the most helpful information. Always go for the first of each of these. That way you’ll be providing Information to guide Future Behaviour – not judging on the basis of fixed abilities. To see the impact of this, try the next exercise. How can you be sure you’re giving the sort of information that feeds a growth mind-set and starves a fixed mind-set? Feedback offered Informational Future-orientated? Behavioural? Feedback offered Judgment? Past? Ability? Try evaluating some feedback of your own using these criteria. It’s all too easy to give praise for something that an individual didn’t actually find difficult; we’ve known for some time that this can serve to lower personal expectations of performance. Even if only on a subconscious or learned helplessness level, I.E rather than not getting praise for trying something new and not doing well at it, knowing what one is good at and sticking to it, in order to stay being the best. Nietzsche was a German philosopher, cultural critic, poet and Latin and Greek scholar whose work has exerted a profound influence on Western philosophy and modern intellectual history. Yes, people of all ages love praise. We might also enjoy sweets, alcohol and calorific meals, but it doesn’t mean they’re good for us. Praise, prizes and performance grades all act as external reinforces, focusing on the outcomes of learning rather than the intrinsic satisfactions of the task itself. It’s not that external reinforces don’t work, they often do, however they work at the expense of something much more important than behavioural compliance. The intrinsic motivation and desire of the learner to grow their skills, knowledge and competencies. We know this from decades of research by Dweck – rewards have hidden costs. So whilst sticker charts and reward schedules will probably get short-term results, they won’t turn your teams on to continued learning and self-development – they are more likely to turn them into sticker-seekers, or individuals who’ll go through life seeking meaning in others’ affirmation, absolution or judgment. To create truly adaptable and flexible thinking individuals and teams developing growth mind-set as part of the organisations culture is vital.